Sticky Beast Automatic by Zamnesia Seeds is an expertly designed strain where some of the best cannabis genetics come together for a unique experience and all-around fantastic product. Even seasoned cannabis enthusiasts will be delighted about the taste and the potency of this strain while novice growers will love how easy this automatic variety will grow. From the world-famous Bubble Gum, an award-winning indica that comes from Indiana and had been further developed in the Netherlands comes the sweet flavour of the Sticky Beast. The famous OG Kush, quite legendary on her own and known for both her sativa and indica qualities chimes in with her powerful and long-lasting high. 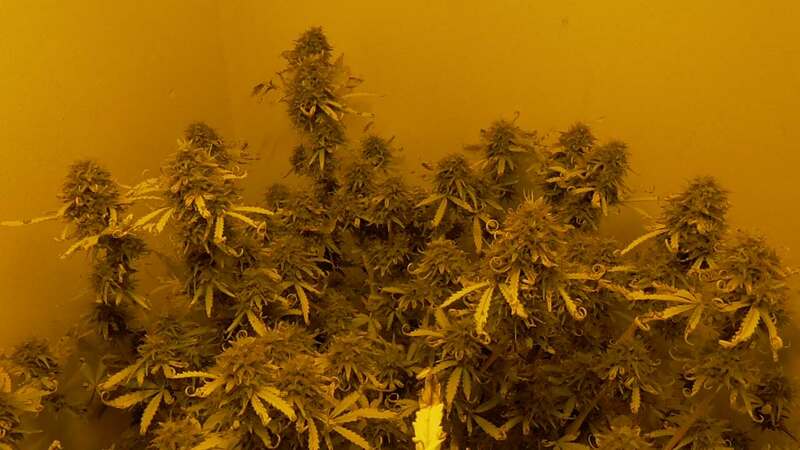 The popular Critical Automatic also has a say and gives her autoflowering ability but not without also giving her great taste, her good growing vigour and some substantial yields. Since Sticky Beast Automatic is autoflowering, growing her cannot be easier. Simply forget about hassles with light schedules as with some other strains because she will flower all on her own without you needing to do anything. Indoors, the plant will get to a height of 40-80cm which means she’ll be compact enough so she can fit even in some tight spaces. She will yield you as much as 400g/m² in good indoor conditions. When you grow Sticky Beast Automatic outdoors, she won’t get much taller and will normally reach a height of 60-100cm. 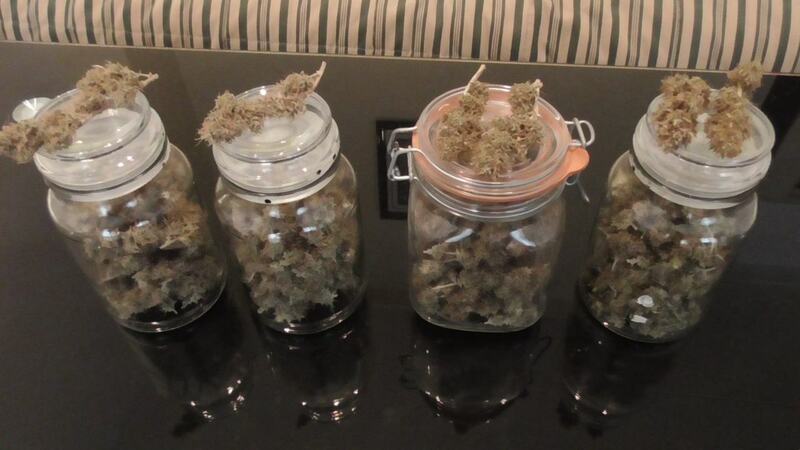 There you can expect a good yield of 120-170g dry bud per plant. Once she starts to flower, this quick Lady will finish in a short 5-7 weeks. Her entire life-cycle from when you germinated your seeds until harvest time tops at a short 8 weeks. 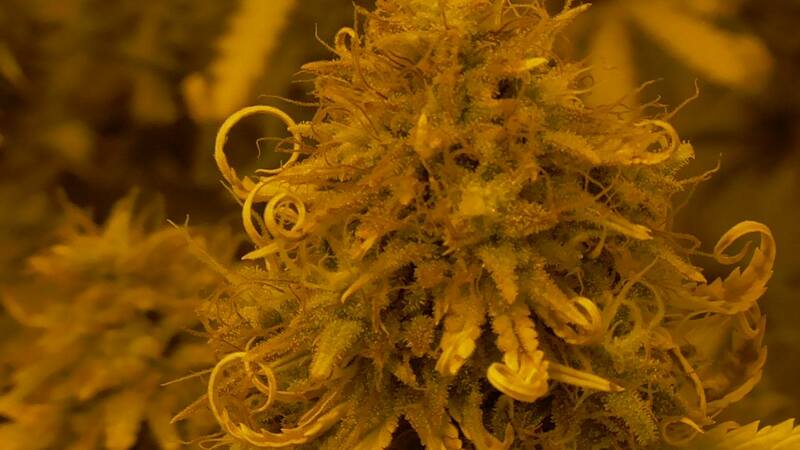 Given that she is mostly an Indica (60% indica, 10% sativa and 30% ruderalis) and packs a good 18% of THC, she will deliver a great high that is exceptionally well-rounded. Thanks to her indica dominance her effect is very relaxing and physical, just the right smoke for chilling and if you want a strain that can help you sleep. But she won’t knock you out cold like some other indicas and doesn’t make you drowsy or lethargic. Instead, she has a nice uplifting euphoric side to her as well which makes the strain great if you want to relieve some stress at the end of a day! In addition to her strong and positive effect when you smoke her, Sticky Beast Automatic can score with an equally great taste. She has a pleasantly sweet aroma that she blends with some earthy undertones for a very enjoyable smoke experience all around. Sticky Beast Automatic by Zamnesia Seeds is a stellar example for an easy and fast autoflower where you don’t need to make any compromises. Just enjoy her great taste and the powerful yet nicely rounded high and have this Lady show you how easy it can be to grow some top bud in no time! Sticky Beast entwickelt schöne, klebrige Buds. Getrocknet haben sie auch ein tolles Aroma, einen Teil habe ich fermentiert, jedoch ist die Wirkung bei meinen Exemplaren nicht so stark, wie die Optik und der Geruch versprochen haben. Trotzdem kann ich sie absolut weiterempfehlen. 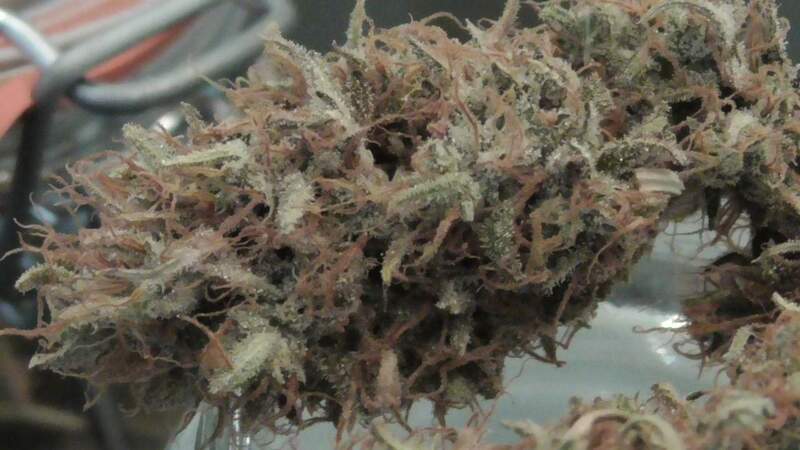 Top Shelf Grower gives us a first-hand account of his experience with Sticky Beast Automatic. Take a look below to see how he got on with it, and how this beauty grew. Get the inside scoop on cropping this frosty cultivar. Our first word of advice is to document your cannabis cultivation. Whether you intend to share the contents with others or keep it a closely guarded secret, a grow diary will help you become a better grower. Marijuana memoirs are a useful tool, regardless of your level of grow-op experience. Building a database of what works and what doesn’t, then implementing the knowledge in subsequent grows is how you teach yourself to grow bigger and better buds. Four Sticky Beast Automatic seeds were germinated using the paper towel method. 48 hours later, it was time to sow the freshly sprouted beans directly into 6l pots filled with lightly fertilised, moist soil. I opted for a 20-4 light schedule with my ballast set to 250W and kept my spray bottle filled on hand as the sprouts emerged from the soil. The first seven days were all about getting the grow op dialled in. I figured out how often to open the window and kept a close eye on both temperature and RH. Temperatures were staying within the optimal 22–26°C range, but RH was a little low for my liking at 40–50%. During the brief 4-hour dark period, temps dipped to 18°C, while RH crept up to a more ideal 60%. The 4 tiny seedlings required just 0.5l of water with a dash of Sensizym for the root zone. The introduction of a pot of water was enough to keep RH closer to 60% while the light was on. 3-fingered leaves started to appear. Two plants were already catching my eye as keepers. Unfortunately, the others were underperforming. One sprout showed leaf mutations. Another was developing very sluggishly in comparison with my two-star performers. After a minuscule quarter-strength dose of base nutes, the best two had climbed to 15cm and it was already time for me to make serious changes. The grow op would have to be reconfigured to continue. I was planning on experimenting with pruning and training. With both light and space at a premium, only the strong would thrive. Two plants might have to be eliminated. Difficult decisions couldn’t be put off any longer. Neither could training and pruning. My tallest plant had climbed to 22cm, and with quite large internodal spacing, I got hands-on with LST. The following day, I topped the next tallest plant, which was a bushier specimen with very tight internodal spacing, as it hit the 20cm mark. It was time to turn on the fan to create a light breeze and thicken up those shoots. Day 17 was when I finally pulled the plug on my pair of subpar plants. With just 250W and a very tight space, I needed to dedicate all resources to my two hot-looking plants. In fact, they grew even more vigorously once they had the grow lamp all to themselves. By the end of the week, both had shot up to 28cm in height. I was constantly raising the grow lamp higher to maintain a 30cm lamp to canopy distance. I used 30cm thin wooden sticks and soft plant ties to apply my “acupuncture LST” technique on both plants. Even the topped plant needed training as side branches continued to grow at a phenomenal rate. By using the sticks as stakes and lashing the bent branches to them, I was able to create a flatter canopy without further pruning. Both plants got very thirsty; daily watering was required. 1ltr per plant was a sufficient volume of water given the small container size. Sticky Beast Automatic was surprising me in the best possible way. These beasts were responding positively to topping, especially in the case of the bushier pheno, and both couldn’t get enough LST. By day 25, I was in no doubt I had female plants when pistils became clearly visible. Every day, more shoots needed bending and training to fill out horizontal space. By day 28, I had a pair of 60cm tall monsters on my hands. To maintain optimal environmental conditions, I had to replace the pot of water with a dehumidifier. Nothing fancy, just a passive lunchbox-sized unit with a top chamber filled with water-absorbent crystals. I had to set my fan on a chair in the wardrobe to keep air-flow on the canopy. Both plants were starting to look unstoppable. I had done more bending than Uri Geller and turned both plants into squat bushes that were starting to explode with flowers. I had never imagined an autoflowering cannabis strain could be so space-hungry. The bushier plant was looking tremendous. Vertical growth continued, and by day 35, both had surpassed 80cm in height. Defoliation was also to become a weekly ritual. I was running out of space and almost out of tricks, too. Supercropping the now sea of tops was essential, although it was late at day 40. But it had to be done to keep all those tops from getting too close to the lamp. Both plants had stretched to 90cm and I had no more vertical space. Bends to push the canopy down to a more manageable 80–85cm kept the buds safe. The addition of a second dehumidifier was required to keep RH in check. Both plants continued to drink daily with an insatiable thirst, especially the bushier, more Critical+ influenced pheno. This unbelievably branchy plant, on occasion, required a second feed 12 hours or so after the first. Pungent, spicy, and hash-like aromas were wafting out of the wardrobe as budding went into top gear. Everything was looking great. Until it wasn’t. A self-inflicted calcium and magnesium deficiency, coupled with a watering of high-pH tap water, set back progress. Tapering off Grow and Microcomponents of the three-part base nutes was a big mistake. This also tapered off Cal/Mag, along with nitrogen. Following this blunder up with a flush using tap water with 8.0pH was my second mistake. Plants suffered from chlorosis, especially the stretchier pheno. Flushing with bottled water was all I could do for now. This was a setback, but definitely not the end. Leaves yellowed and died, but some slowly started to green back up. A significant number of leaves dropped off. Budding had slowed to a crawl, and neither plant looked very healthy. They were on the mend, but it was going to take another week at least. Sticky Beast Automatic had proved to be very resilient, but no strain is invincible. I now had no chance of finishing this grow in 8–9 weeks. Worse, I was seriously worried both plants would get root bound and not survive a longer 10–11 week growing cycle. I kept up flushing with water and hoped for the best. Day 60 was the turning point. Both plants were budding again and leaf drop ceased. Sure, lots of yellow and brown tips, but new growth was green and existing foliage was healing. I breathed a huge sigh of relief and vowed never to water my marijuana with tap water again in Spain. The Cal/Mag deficiency I won’t forget, and I’m glad I caught it soon enough. By day 63, my big fat bush with a double dose of Critical+ was looking great again. My stretchy pheno was more of a lime green, but her flowers were fattening up too. The comeback was most definitely in full swing. Both plants were laden with small to medium-sized tight, gooey buds. The reek of skunk and spicy hash was wafting out of the wardrobe. Lots of sticky buds everywhere! Both plants had filled out the grow space with a forest of frosty flowers. By day 67, it was back to flushing again with pure water. Pistils were rapidly changing from white to orange/red and a blanket of trichomes was visible to the naked eye. Buds just needed a little more time to swell and hit their peak. My luck had definitely changed and even RH was staying low, decreasing to 48%. Temps were a comfortable and stable 23–25°C. A final flush on day 72, followed by a thorough inspection of the sticky tops, was enough to convince me my plants were just about ready for the chop. During the flushing process, run-off water changed from a yellowish colour to pretty clear. I like to gradually increase the volume of water with each flush. Starting with a normal 1l pure water flush. Incrementally increasing water volume to 1.25l, 1.5l, 1.75l, to a final flush of 2l of bottled water. By day 75, both plants were at their absolute dankest. The medium was dry and the flowers were fat and frosty. Now was the moment to harvest, and so I did. Now that my bud is dry, I have been left with a yield of 147g of some pretty frosty stuff! SUMMARY: Sticky Beast Automatic is definitely worth a run in grow ops of all sizes. I learned plenty of lessons this grow. Despite a couple of fumbles, I still managed to bring a fat stash to harvest in 75 days. Sticking with an equal parts 50% dose of three-part base nutrients, combined with supplements at full strength would have prevented the Cal/Mag deficiency. A 65-day total crop time with a slightly higher yield is certainly possible with Sticky Beast Automatic. At the time of writing, my scissors are still sticky with resin from trimming, so you’ll have to wait for the Sticky Beast Automatic Post-Harvest Smoke Report for the final weigh-in, and to see what kind of smoking experience to expect. In the meantime, you can check out Top Shelf Grower’s new series Weed In The Wardrobe: Sticky Beast Automatic on YouTube.